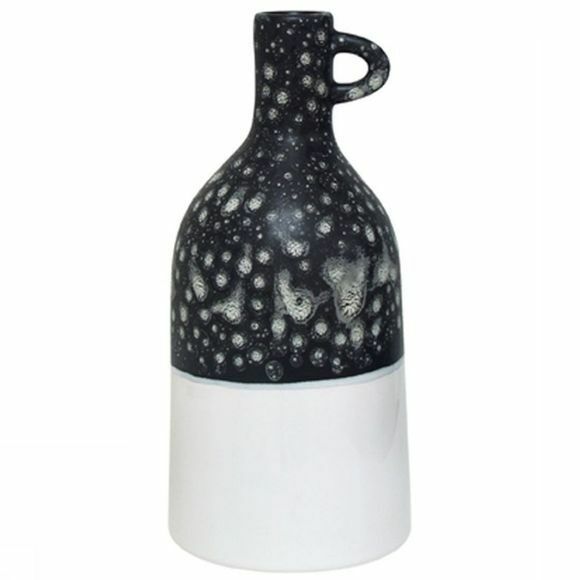 Handmade ceramic vase with handle and black and white finish. Only for decorative use. Vase is not water resistant.